Pepper White 2019 MINI Cooper 2D Hatchback 1.5L 12V TwinPower Turbo 6-Speed Manual FWD MINI of Cleveland gives the Greater Cleveland and Akron area a central location for all MINI enthusiasts and eager drivers. Sited at 14070 Brookpark Road, MINI of Cleveland has exactly what you want: brand specialists to answer any and all questions you may have, service technicians who will get you on the road quicker than you can say "Eenie Meenie MINI Moe," and the freshest facility to house our extensive line of MINI's and make you feel welcome and comfortable - from the first moment you walk in to the moment you hopefully leave with your new car. We're looking forward to being your Cleveland MINI dealer. Midnight Black 2019 MINI Cooper S 2D Hatchback 2.0L 16V TwinPower Turbo 6-Speed Automatic FWD MINI of Cleveland gives the Greater Cleveland and Akron area a central location for all MINI enthusiasts and eager drivers. Sited at 14070 Brookpark Road, MINI of Cleveland has exactly what you want: brand specialists to answer any and all questions you may have, service technicians who will get you on the road quicker than you can say "Eenie Meenie MINI Moe," and the freshest facility to house our extensive line of MINI's and make you feel welcome and comfortable - from the first moment you walk in to the moment you hopefully leave with your new car. We're looking forward to being your Cleveland MINI dealer. Chili Red 2019 MINI Cooper S 2D Hatchback 2.0L 16V TwinPower Turbo 6-Speed Automatic FWD MINI of Cleveland gives the Greater Cleveland and Akron area a central location for all MINI enthusiasts and eager drivers. Sited at 14070 Brookpark Road, MINI of Cleveland has exactly what you want: brand specialists to answer any and all questions you may have, service technicians who will get you on the road quicker than you can say "Eenie Meenie MINI Moe," and the freshest facility to house our extensive line of MINI's and make you feel welcome and comfortable - from the first moment you walk in to the moment you hopefully leave with your new car. 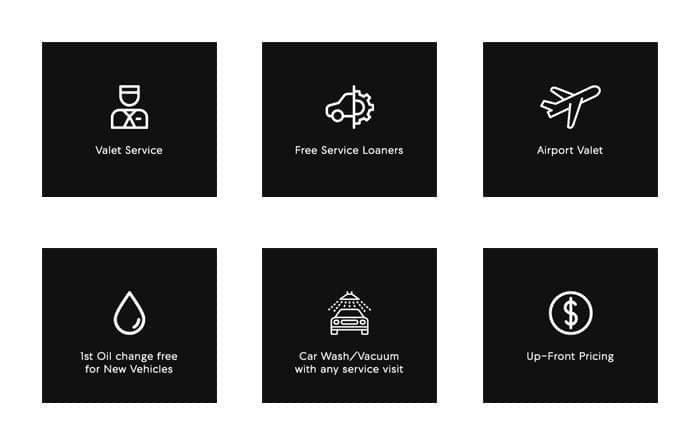 We're looking forward to being your Cleveland MINI dealer. Black 2019 MINI Cooper S 2D Hatchback 2.0L 16V TwinPower Turbo 6-Speed Automatic FWD MINI of Cleveland gives the Greater Cleveland and Akron area a central location for all MINI enthusiasts and eager drivers. Sited at 14070 Brookpark Road, MINI of Cleveland has exactly what you want: brand specialists to answer any and all questions you may have, service technicians who will get you on the road quicker than you can say "Eenie Meenie MINI Moe," and the freshest facility to house our extensive line of MINI's and make you feel welcome and comfortable - from the first moment you walk in to the moment you hopefully leave with your new car. We're looking forward to being your Cleveland MINI dealer. Pepper White 2019 MINI Cooper S 2D Hatchback 2.0L 16V TwinPower Turbo 6-Speed Automatic FWD MINI of Cleveland gives the Greater Cleveland and Akron area a central location for all MINI enthusiasts and eager drivers. Sited at 14070 Brookpark Road, MINI of Cleveland has exactly what you want: brand specialists to answer any and all questions you may have, service technicians who will get you on the road quicker than you can say "Eenie Meenie MINI Moe," and the freshest facility to house our extensive line of MINI's and make you feel welcome and comfortable - from the first moment you walk in to the moment you hopefully leave with your new car. We're looking forward to being your Cleveland MINI dealer. White 2019 MINI Cooper S 2D Hatchback 2.0L 16V TwinPower Turbo 6-Speed Automatic FWD MINI of Cleveland gives the Greater Cleveland and Akron area a central location for all MINI enthusiasts and eager drivers. Sited at 14070 Brookpark Road, MINI of Cleveland has exactly what you want: brand specialists to answer any and all questions you may have, service technicians who will get you on the road quicker than you can say "Eenie Meenie MINI Moe," and the freshest facility to house our extensive line of MINI's and make you feel welcome and comfortable - from the first moment you walk in to the moment you hopefully leave with your new car. 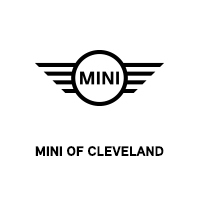 We're looking forward to being your Cleveland MINI dealer.